Our arriving gong is made of professional sound chip, the timbre close to by CD sound, frequency 14-21Khz, wide voltage scope, many activate modes for optional, three parts voices for appointed by user, speaking in Chinese for the sounds of “ UP, DOWN,OVERLOAD”, and could be customized according to customer’s requirement. 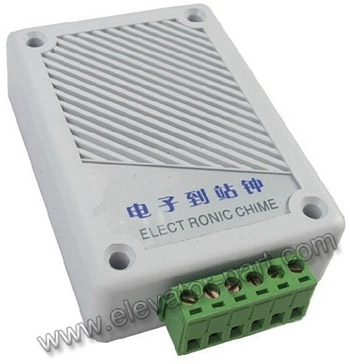 This product is suitable to be installed on the top of elevator, landing operator with its novelty frame, small volume, stable performance, provides the fair sounding to passengers. A. "Dingdong, running down, running up"
E. With nice phonetic sound at each stop, passengers can feel comfortable,and feel good every day!